Shinwa Royal Zatoichi Brown Damascus Sword | BUDK.com - Knives & Swords At The Lowest Prices! 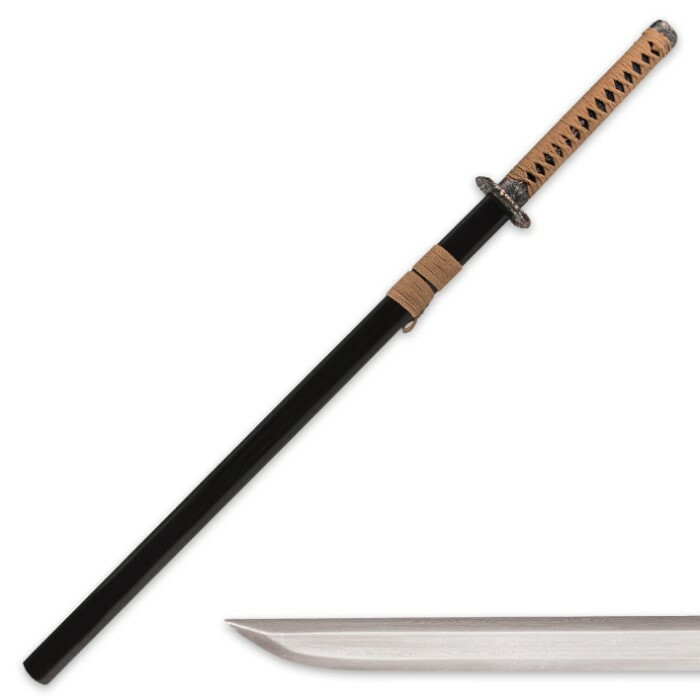 This Shinwa Zatoichi sword measures 40 3/4" overall and features a 28" heat-forged, double-edged, drop-point Damascus steel blade that has more than 2,000 layers of Damscus steel. 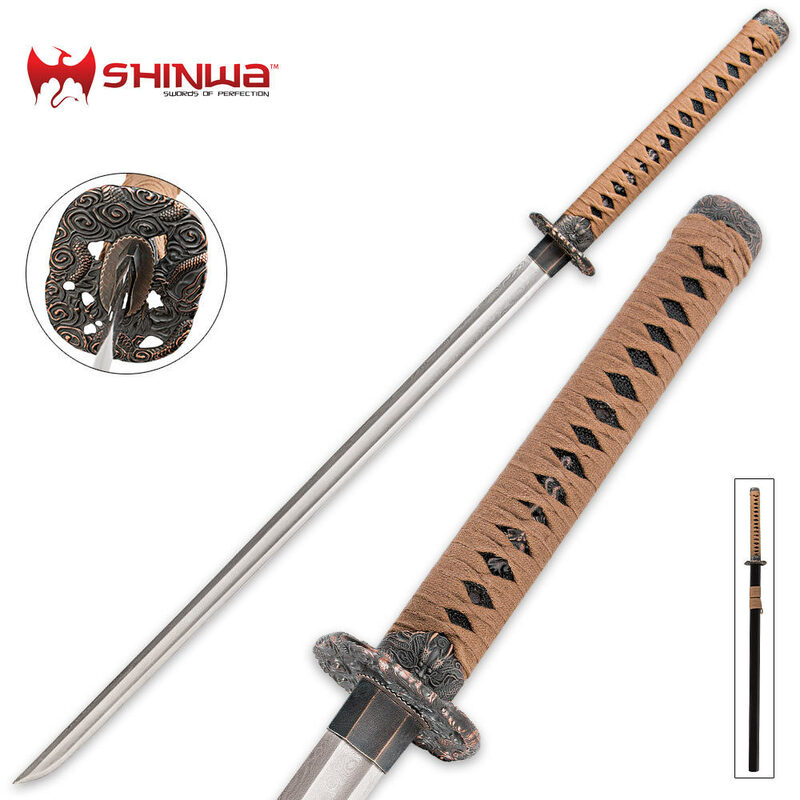 The handle offers a traditional genuine ray skin with a brown nylon cord wrap, a cast zinc menuki and tsuba. 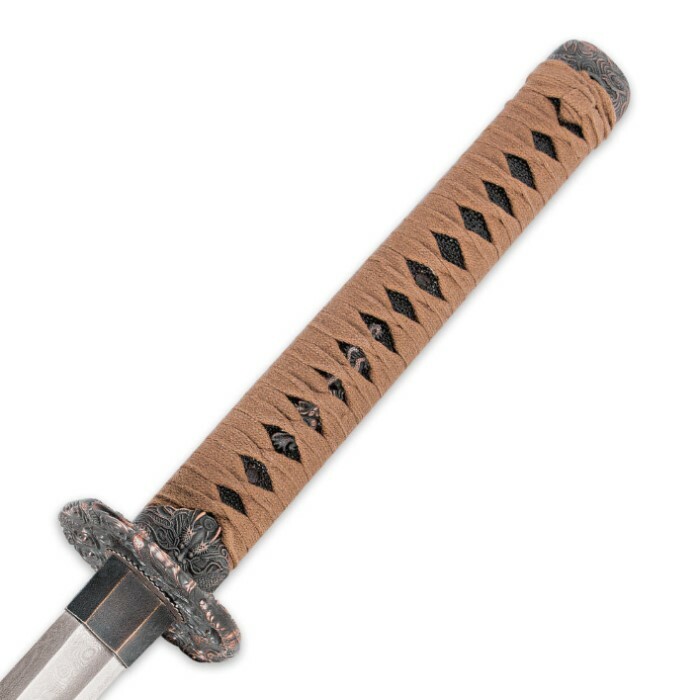 The coordinating wood scabbard completes the authentic look and feel of this mighty weapon.